Hi Friends! I am so glad you are here for Marty of A Stroll Thru Life’s big Christmas Tour! 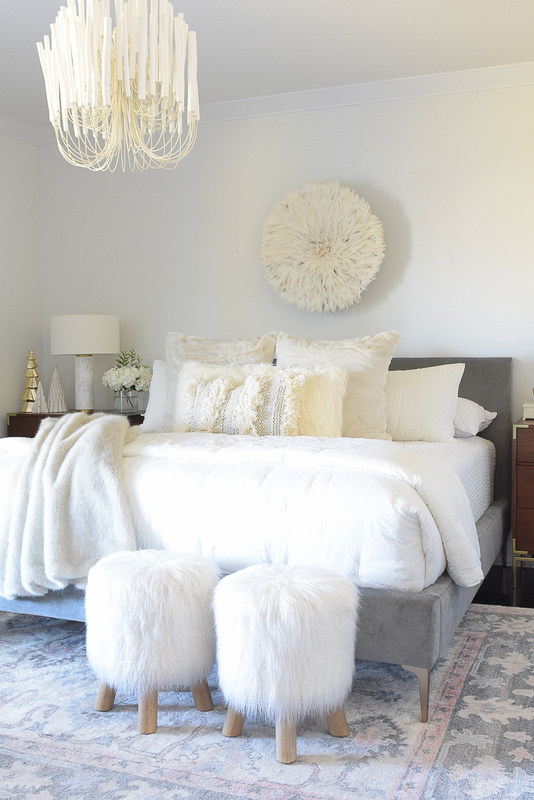 This is one of my favorite tours of the season and I’m excited to have you visit our Boho Chic, Neutral Christmas Bedroom today. A big thank you yet again to Marty for having me on the tour! If you are coming over from my sweet friend, Heather of Setting For Four, welcome! I just adore everything Heather does and and am so happy to have you coming over from her beautiful space in the world! If you are new here and need to get caught up, our family is in the process of designing and building a new home in the Houston area and we are just in the beginning phases of that process. Today I’ll be sharing our temporary home as we build but if you need to get caught up you can read all about our home building journey here. 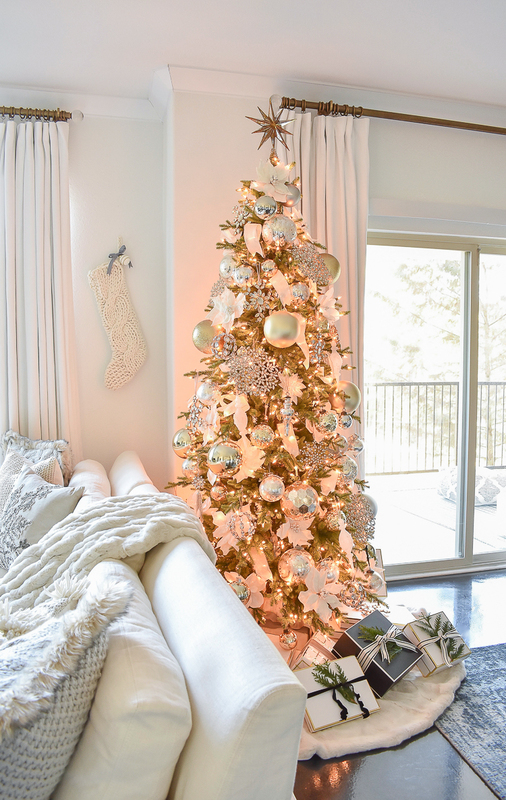 If you missed my Christmas living & dining room tour last week, you can catch that here. Here’s a peek at our Christmas tree. In our bedroom I was so ready to take this space into winter, with some Christmas touches that will remain obviously for the rest of this month. 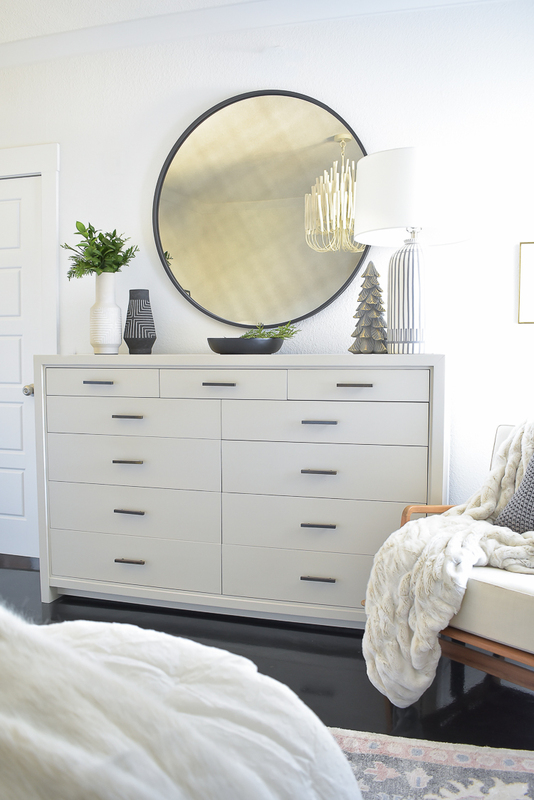 The theme is neutral and cozy with a boho chic vibe. 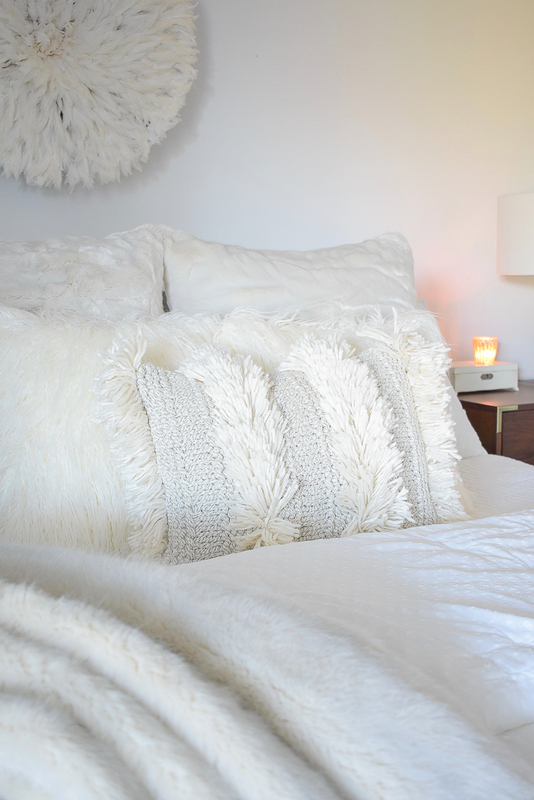 I’m telling you I absolutely can’t get enough of this fringe pillow. I’ve been moving it about the house but I think it will stay here front and center until the spring because I just love it that much! 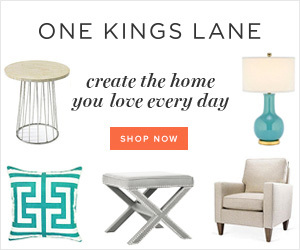 *Affiliate links used. Read my full disclosure policy here. 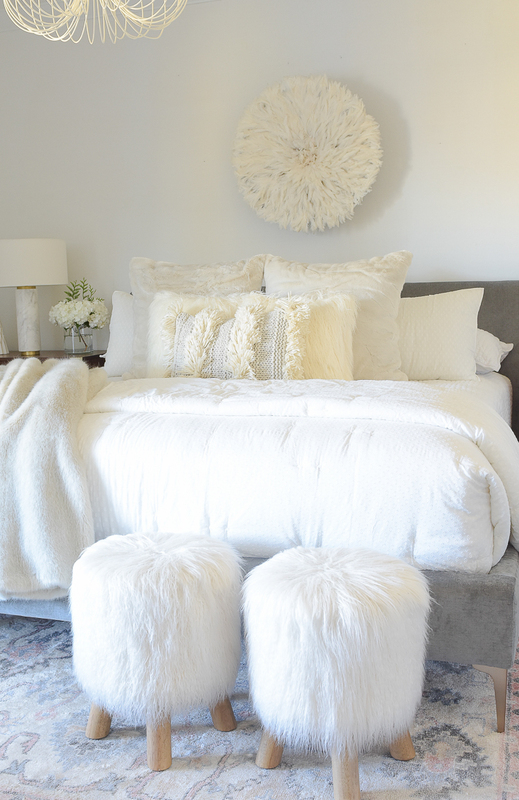 The rest of our bedding changes called for lots of fur and texture that have been perfect for the change of season! You may have noticed I pulled out my feather headress and I love the calming affect it’s had on the space vs. the art that was here before. I also recalled my Mongolian faux fur stools that I’ve had for quite some time now. Still love them so much!! 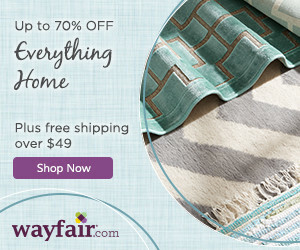 I added this quilt and shams and really adore the soft texture they bring into the space. See a close up below. 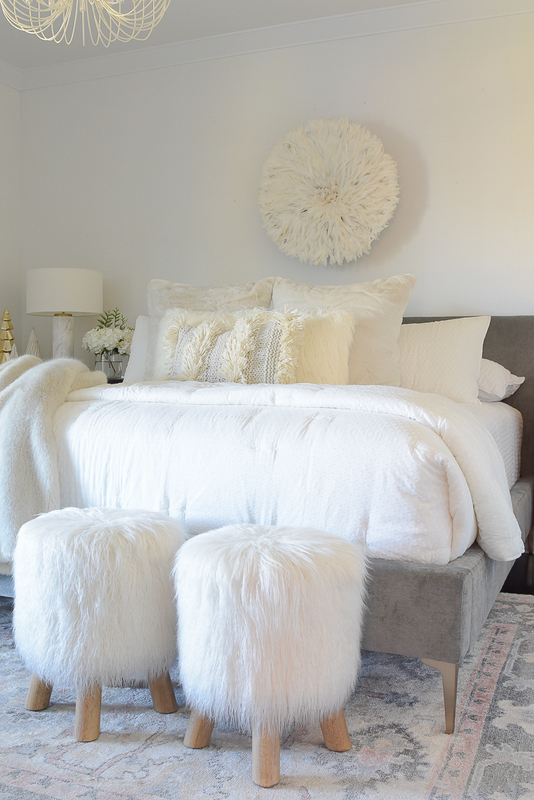 I also added the faux fur alpaca 26″ pillows and the Mongolian faux fur pillows in front of that. 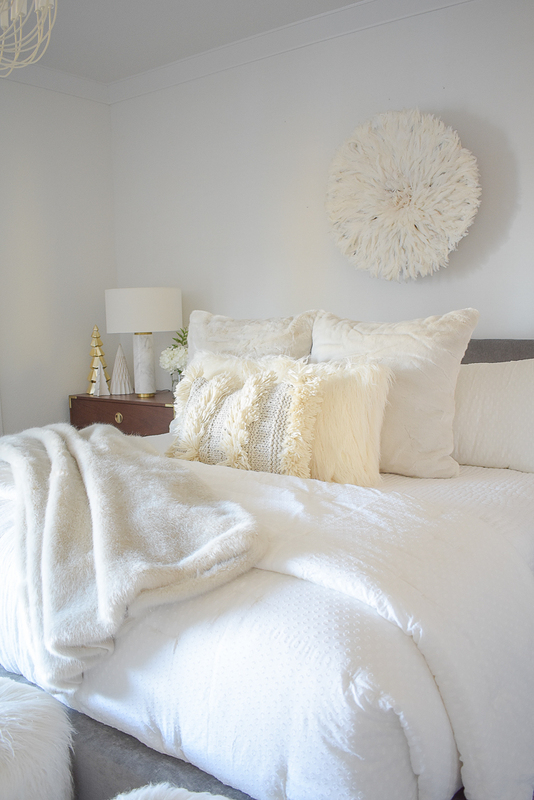 All of the fur is giving our room all of the wintery, Christmas vibes and I’m loving it! 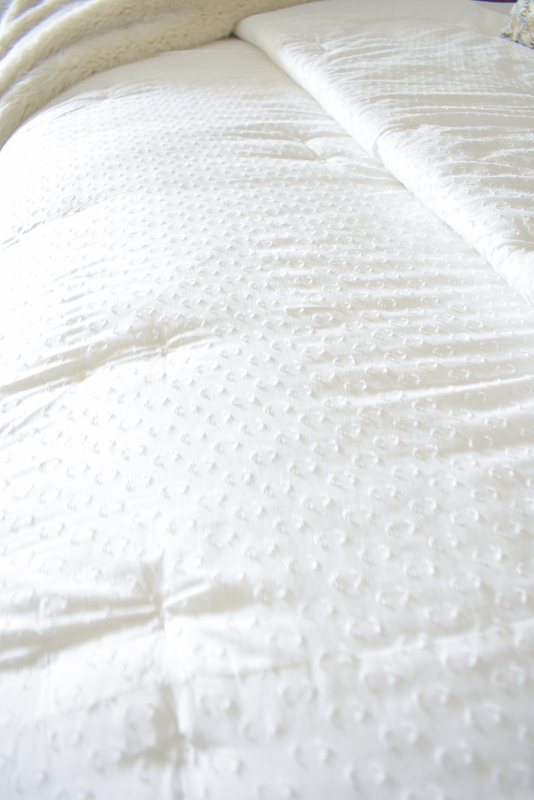 The soft texture on this quilt and shams is incredible! 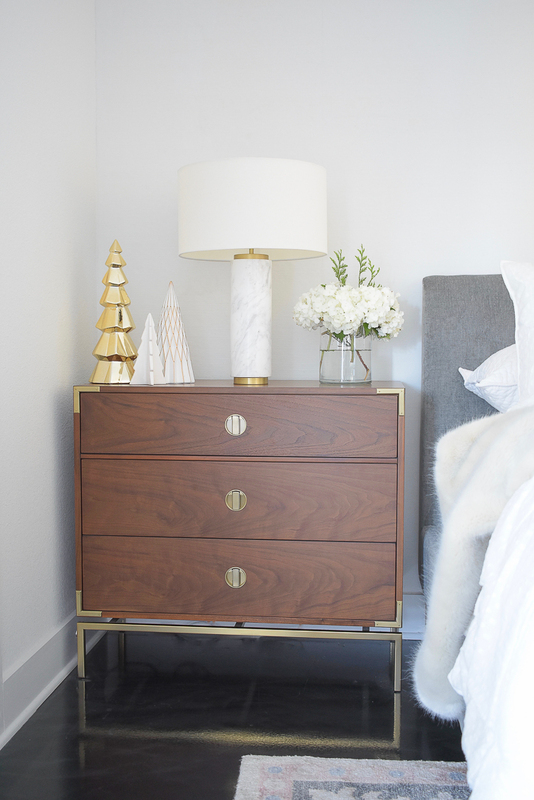 The bedside tables stayed simple with some of my favorite votives, christmas trees and white hydrangeas with some evergreen clippings mixed in that I picked from outside. I also pulled out my marble lamps! Love them too!! They never seem to go out of style. The other side of the room received some simple Christmas touches as well. 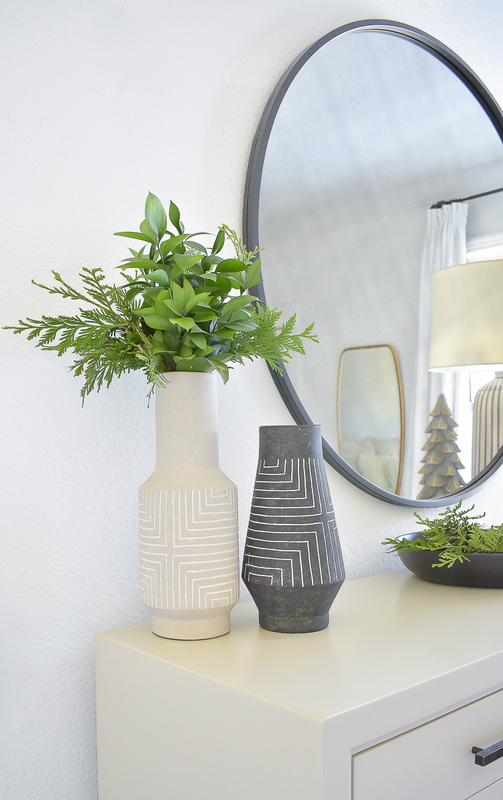 You probably know by now I have an extensive vase collection but couldn’t help myself when I saw these modern, geometric vases recently (here & here). Can’t get enough of them! 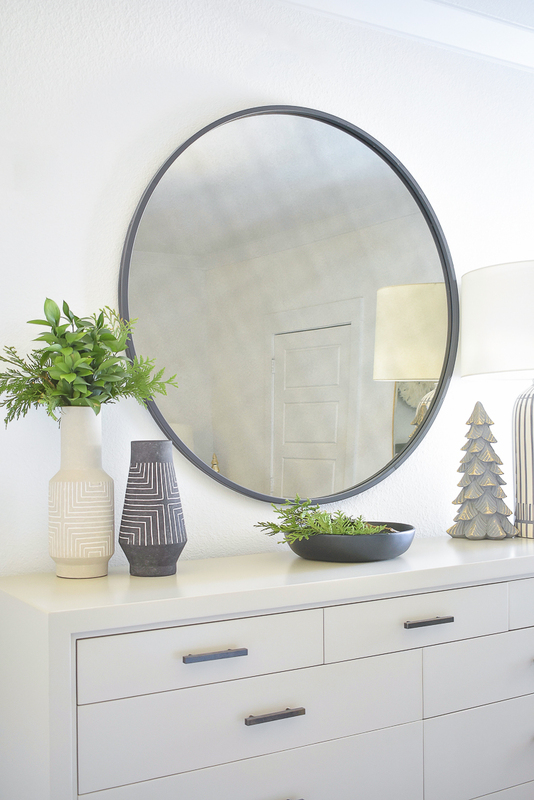 Still loving our round black mirror in here as well, since the One Room Challenge last spring! 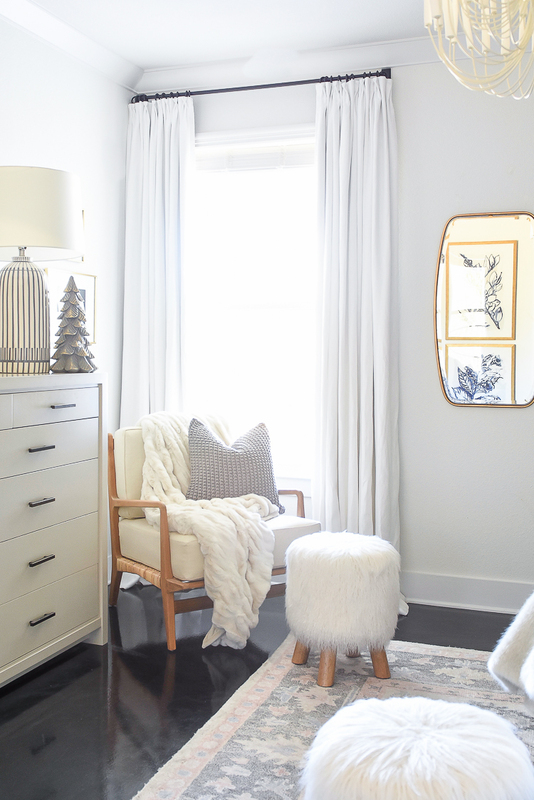 Lastly, over in the corner by the window I’ve added my favorite new rushed faux fur throw, along with a chunky knit gray pillow to give this spot a warm update for winter. 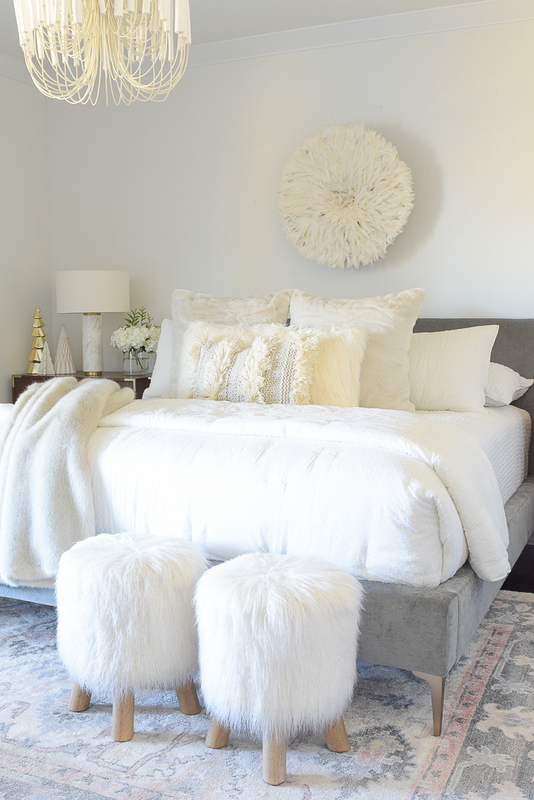 I hope you’ve enjoyed my Boho Chic Christmas Bedroom Tour and that you were able to get some good inspiration or gift ideas for yourself! 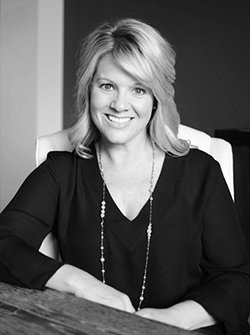 From here you will head over to Laura of Inspiration for Moms. 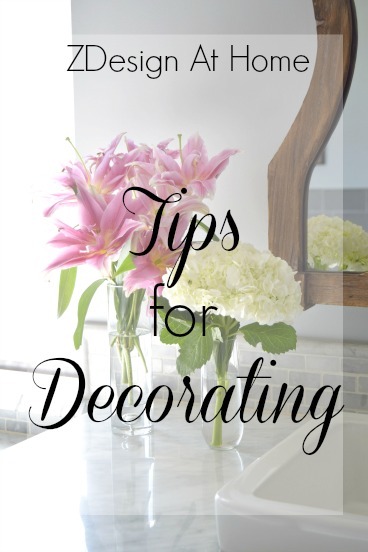 I just love all of Laura’s tips, ideas and finds and I know you will too, in addition to her lovely Christmas decor this year!! 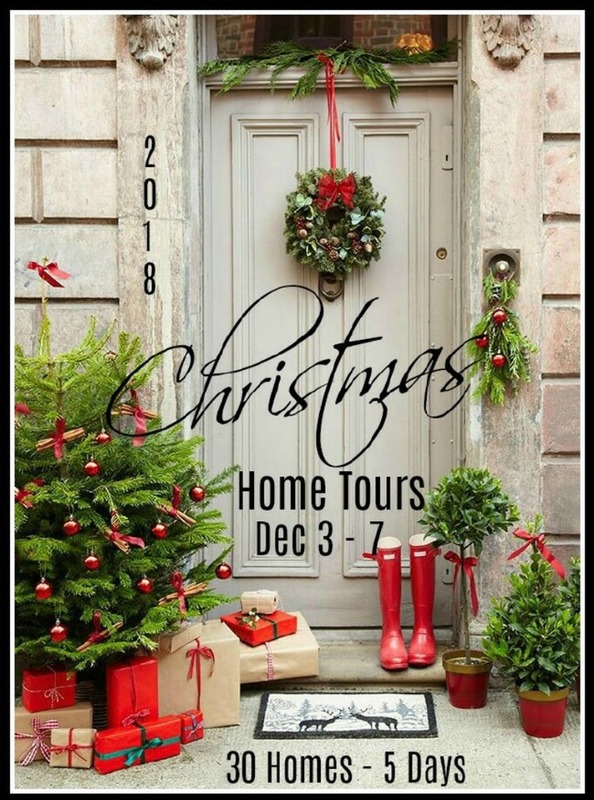 Also this week, make sure to check out all of the other homes on the tour! I know you won’t want to miss even one!! 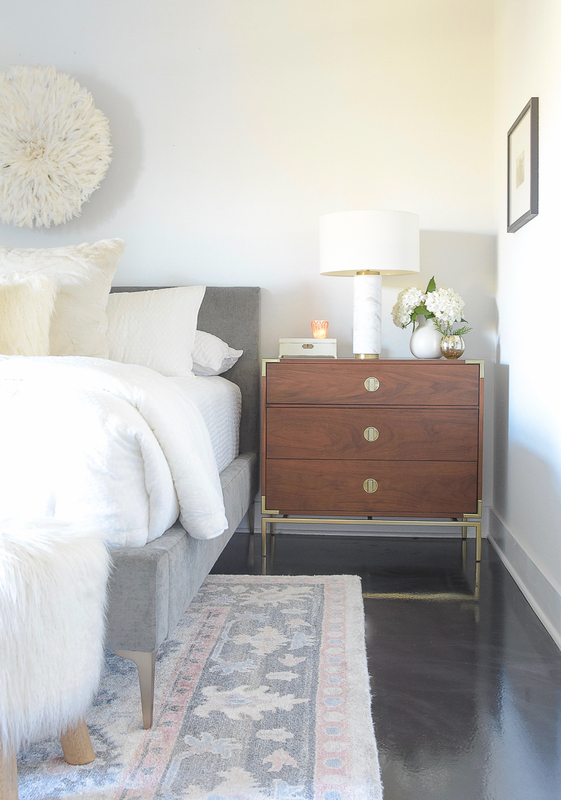 I can’t get over your bedroom it’s so stunning and cozy. I just wan to come over and snuggle! 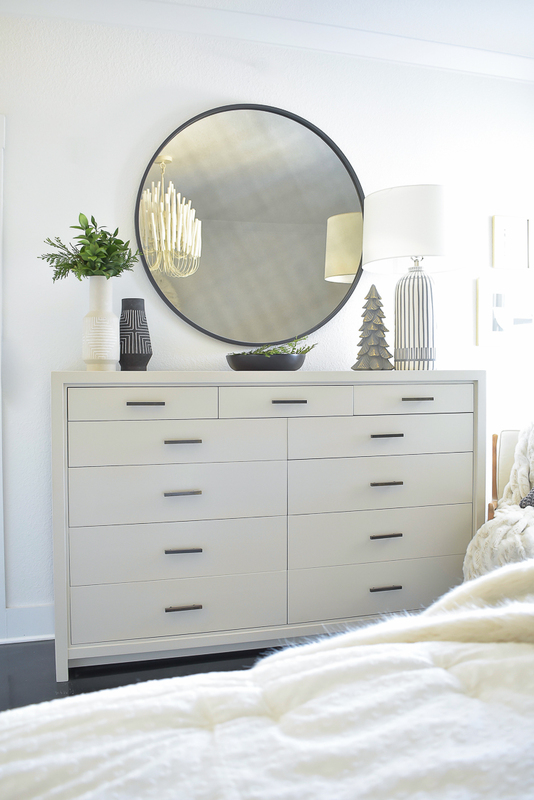 Just love all that winter white. 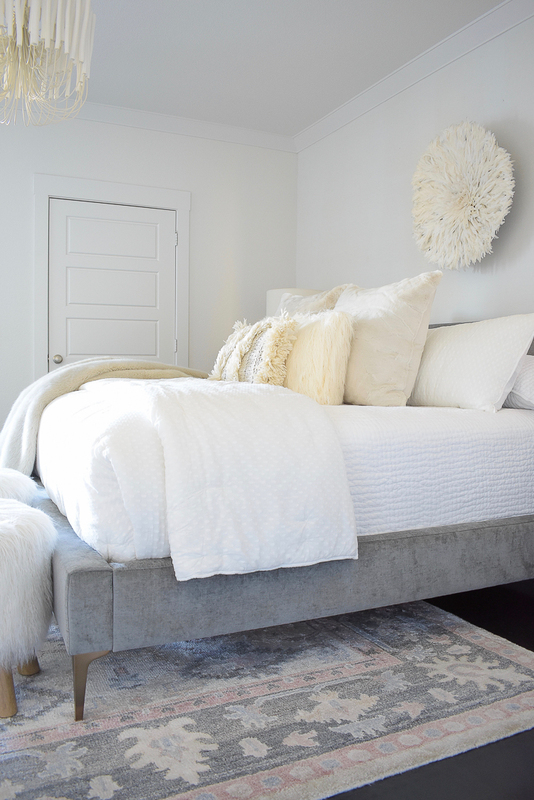 i just want to take a nap everytime I see your gorgeous bedroom. hope you enjoy the holidays. merry christmas! What an absolutely enchanting home! 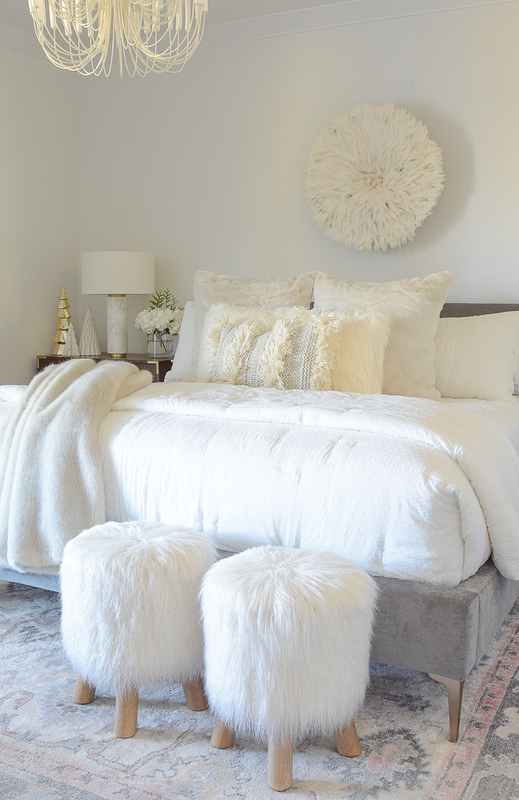 I adore all of the touches of cozy fur. So delighted to be on the tour with you!